Reverend Tom is a lifelong New Englander; having lived in Western Massachusetts his entire life, apart from a stint in the United States Air Force, where, although he never saw combat, he did not dabble in pacifism. He currently lives in Chicopee, with his family and beagle. 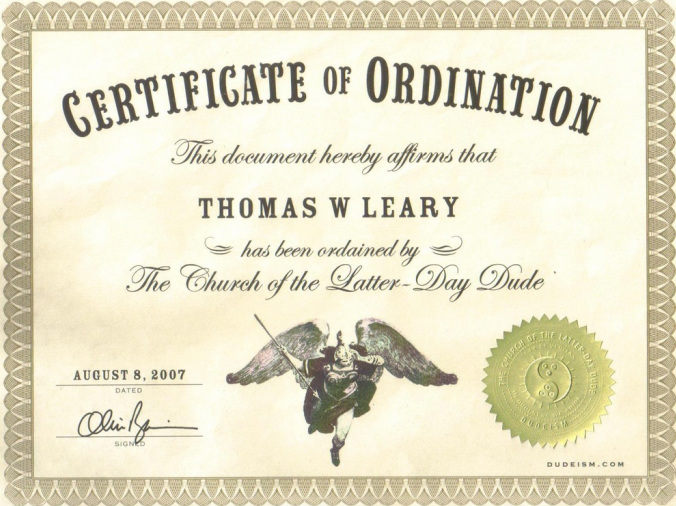 Reverend Tom has been an Ordained Dudeist Priest since 2007, and is available to perform Weddings, Blessings, and What-have-you. 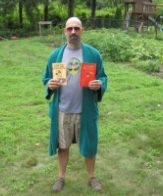 Reverend Tom believes that as a Dudeist Priest, it is the modest task which is his charge, to help spread the word of Dudeism throughout New England, when it's not too exhausting. The world is shaped by taking it easy; it cannot be shaped by Undudeness.